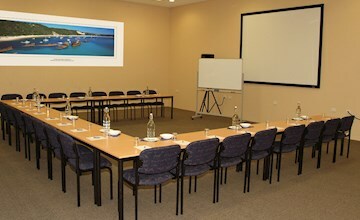 Tangalooma Island Resort offers a diverse range of venues to cater for conferences of all shapes and sizes within easy reach of Brisbane. 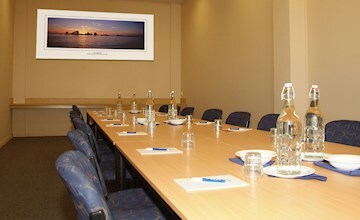 All meeting rooms are located on the ground floor and range in capacity from large boardroom to seating capacity for 300 people. With all of Tangalooma's conference and event venues keeping you close to nature, you can interact with your delegates amongst the golden sands and striking blue waters of Moreton Bay. Whether you're travelling party is looking for a sophisticated an all-inclusive experience, or something more fun and casual, our experienced team can accommodate for a variety of conference and event preferences. 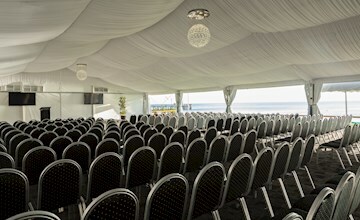 Enjoy your very own private slice of absolute ocean frontage in Tangalooma Island Resort's premium beachfront conference venue - The Waterfront Pavilion. 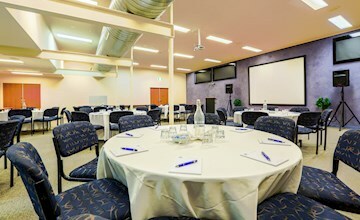 Tangalooma's newest venue, the Wheelhouse can cater up to 280 guests across its spacious room and extended balcony deck. 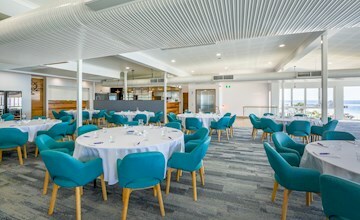 Offering unrivalled serenity and expansive views across Moreton Bay, this venue is perfectly set up as a premium cocktail space or banquet event. This unique room is perfect as a breakout room, or private dining area. 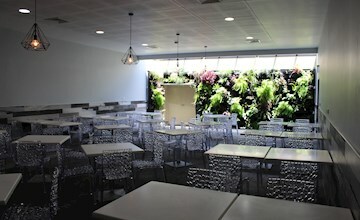 Features warm natural light and the ever growing and constaly lush 'Garden Wall'. With a smaller floor area of 100 square meters and a capacity of 64 in classroom, Wadsworth is ideal for medium sized groups wanting formal space. Kallatina is suitable for larger meetings of up to 128 in classroom, with a large drop down screen and ceiling mounted data projector ideal for training meetings. Ideal for small groups and with wonderful natural lighting, Mirapool is a great space for a product launch or a wonderful breakout room. 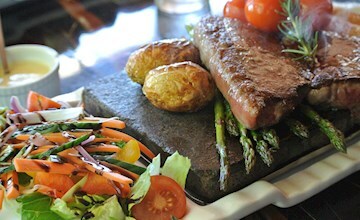 Indulge in the exotic and spicy flavours of the Orient will be offered with a mouth watering Asian fusion menu, whilst 'Stone' will offer guests a complete ‘Hot Stone’ menu to be cooked at their table on their own hot rock.